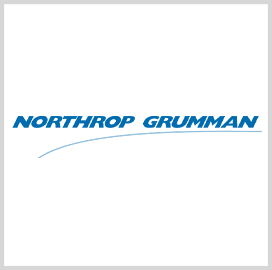 A consortium that includes Northrop Grumman will develop prototype sensing tools to support a Defense Advanced Research Projects Agency program aimed at determining which marine organisms could help the U.S. military detect and track undersea threats. Northrop said Thursday it will collaborate with Coda Octopus, Duke University, University of Maryland, Baltimore County and University of Memphis to produce hardware through the Persistent Aquatic Living Sensors program. The PALS effort seeks to apply artificial intelligence to examine sea life patterns that may facilitate target classification. “Detection, classification and tracking of undersea objects is a critical military capability and we are excited to work with DARPA to develop this next generation approach,” said Mike Meaney, vice president of advanced missions at Northrop. The agency introduced the four-year program in February 2018 with the goal to investigate responses of marine organisms to the presence of manned and unmanned underwater vehicles and characterize signals or behaviors for capture, interpretation and transmission via a network of hardware devices.